Looking for a carpet cleaner in North Andover? When your carpet starts looking dingy, call North Andover's carpet cleaning professionals at Certified Green Team: (617) 586-2586. Our certified Massachusetts carpet cleaners are trained to determine the best carpet cleaning product and cleaning method for all types of carpeting. We have been in the carpet cleaning business for more than 10 years, serving residential and commercial clients in Essex County, MA. North Andover, MA carpet cleaning. 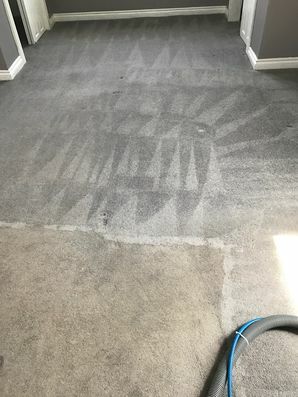 For a difference you can see, Certified Green Team's carpet cleaning experts use a highly effective hot water extraction process to get your North Andover carpet clean. We clean all types of carpet in North Andover, including: Berber, plush, shag, sculptured, textured, and low pile. Our portable equipment allows us to provide our Essex County carpet cleaning service for automobiles, recreational vehicles, and even boats. For the best carpet cleaning in North Andover, call (617) 586-2586. Providing quality carpet cleaning North Andover, Massachusetts clients have counted on since 2009.